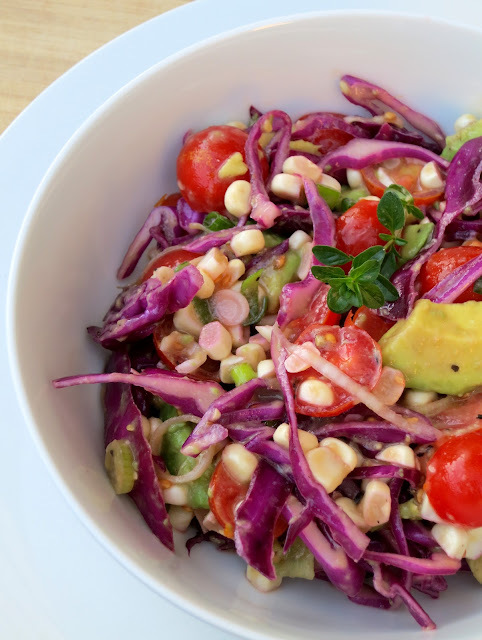 deliciously organized: colorful summer salad. Found the above salad recipe in this months Real Simple. Whipped it up quick and served it with sole.